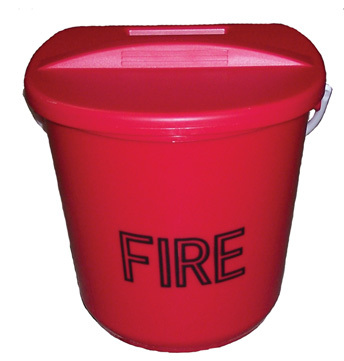 Plastic D-shaped fire bucket, ideal for positioning against walls. Suitable for garage forecourt protection and other potential spillage areas. This bucket has a special hand-hold at its base for easy throwing of contents.